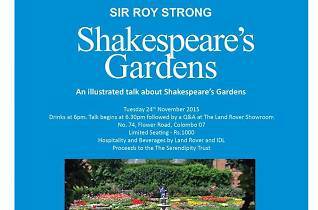 Sri Roy Strong, an English art historian, museum curator, writer, broadcaster and landscape designer, delivers an illustrated talk about Shakespeare’s Gardens. Sir Roy Strong has been a director of both the National Portrait Gallery and the Victoria and Albert Museum in London. 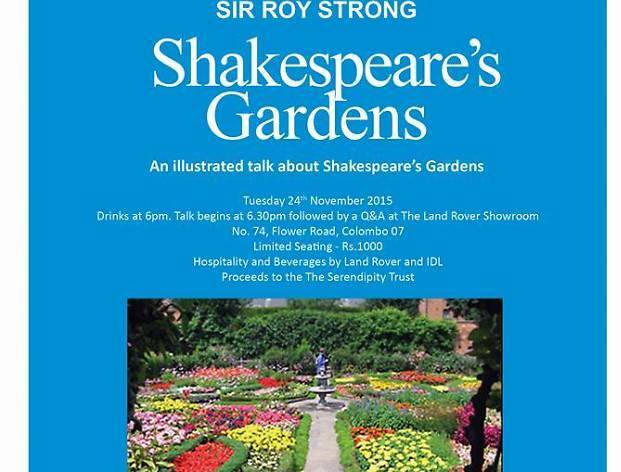 Sir Roy Strong has a strong personality and is one of the youngest directors of the National Portrait Gallery. He holds the recognition of being the youngest director of the Victoria and Albert Museum. Sir Roy was knighted in 1983 and was honoured as the President of The Royal Photographic Society.